Thanksgiving is by far one of my favourite times of the year! It’s the season of giving thanks, spending time with the family and watching the leaves change into big bursts of bright colours. It also signals the beginning of holiday season—the season of entertaining! Every Thanksgiving table deserves to be decked out. That doesn’t mean you need to go out and buy a new set of dishes or table linens. 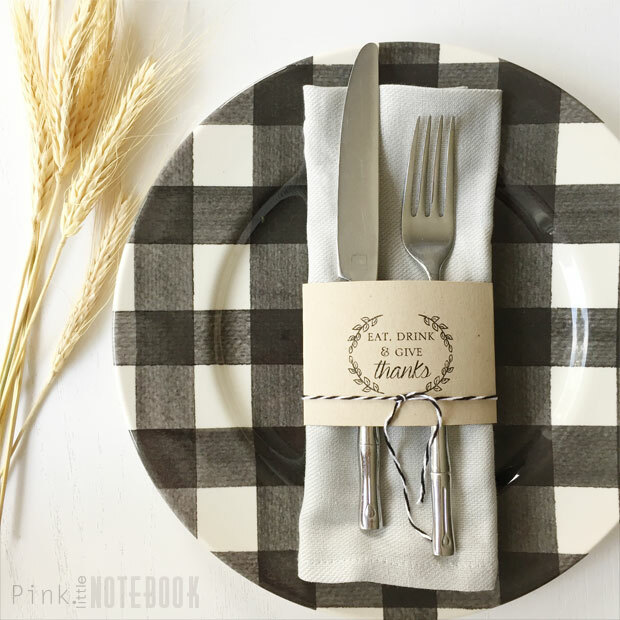 There are a ton of simple inexpensive things you can do to dress up your tablescape. 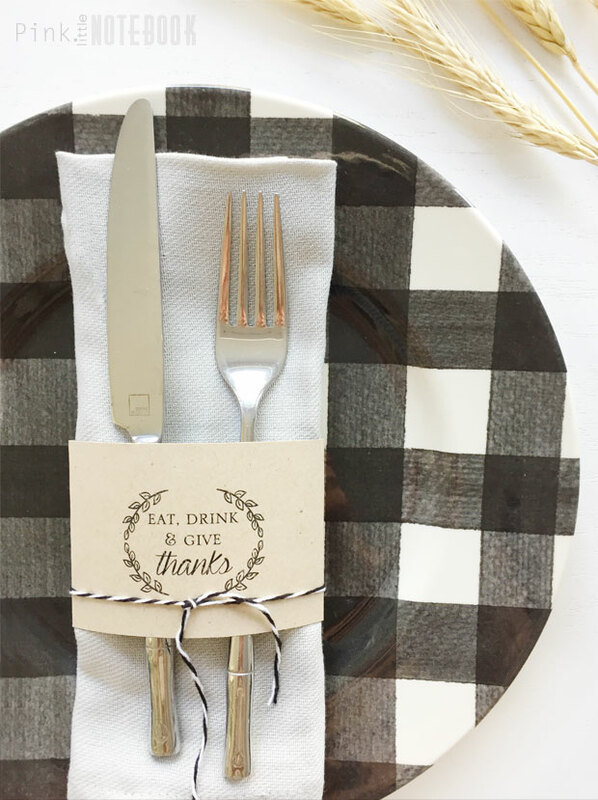 To help add your own festive touch this Thanksgiving, I’ve created a free printable for DIY napkin rings. All you need is a printer and cardstock. Click on the link above and print the document. Cut along the lines. To achieve a straight cut, I recommend using a paper cutter. 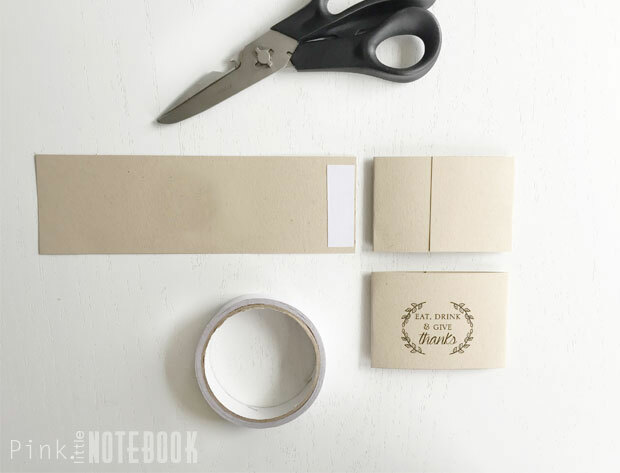 Fold and add double sided tape to adhere. 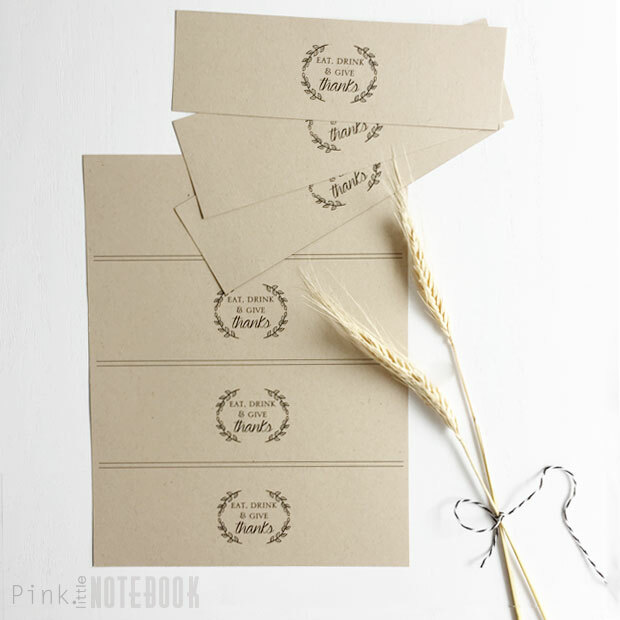 Garnish with any flowers, leaves, hay or ribbon. What a fantastic idea. You could also personalize them so they double as placeholders. Oh my goodness, these are too cute! I’m definitely printing these out for Thanksgiving this year. They are so pretty- love the pics.. thanks for sharing the printable! I’ve got mine printed out and they’re lovely. Thank you Sabrina and Happy Thanksgiving to you and yours! That’s so much simpler than it looks! I will try to recreate something similar for my office.